In Arabic, the historic center is called "medina," which is the word for "city." 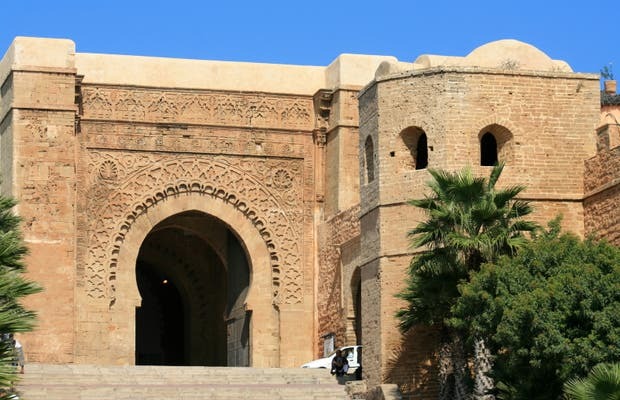 Before Rabat fit fully inside the city walls that were built in the 12th century by the Almohad dynasty, it was a small fishing village, and the big city was Safi, on the other side of the Bou Regreg river. Some say "Rabat" meant "where horses are tied," because people left their horses there before returning home to Safi. During the French colonization the governor decided to make Rabat the capital. The medina is a fun, lively place with many shops, covered markets, mosques, and some hotels. I like staying here and sleeping in the historic center because the hotels here are cheap.